I’ve seen the name Hello Fresh popping up all over the place over the last 6 months; their discount vouchers are in my ASOS orders, on sponsored tweets and Facebook ads; they’re everywhere! Being completely honest, I had a look at their website the first time I got a voucher code in the post and decided it wasn’t for me. I’m really in to budgeting, and I can do a weekly shop for AJ and I for £40, easily. Faced with one box of food, for three meals, costing £39 I was definitely not keen, even with the discount. But fast forward a few months and a friend of mine had a code for your first box free. So, I couldn’t turn that one down – free food! I was actually really excited to try them out. I loved the idea of the convenience of not having to drag my lazy bottom to the supermarket to buy food, but also not eating ready meals. I’m a cook from scratch kind of girl through and through. To try and make the most of the offer code, I opted for a box of 5 meals for 2 people. This meant I had to pay £9 for the box including delivery, but it equated to almost a weeks worth of food shopping. I can honestly say I really enjoyed the whole process. The food we had was fresh, well packaged, really good quality (including the meat). In the five meal boxes, all the vegetables and spices etc come bagged together by recipe, so you can just pick up a bag and go! I really enjoyed getting new ideas and inspiration from the recipe cards, and the recipes were genuinely really tasty. All of the meals had decent portion sizes and some of the dishes that are pasta based make huge portions. Even better is the fact that you cook it yourself, so have the option to change or reduce ingredients if you really want to. We had one prawn based dish that I switched out for chicken, because we don’t eat seafood. The website is a really useful tool; you can log in and see what recipes will be sent to you in your next boxes, and it’s really simple to put your deliveries on hold or take a holiday if you don’t want to receive a box every week. I didn’t get around to checking whether you can switch up recipes you know you wont like, but luckily everything we had we liked, or were able to adapt. Some of the recipes include more of a certain ingredient then you need. If you need half a pepper, you still get sent the whole pepper. I made sure that any food waste was minimised by freezing whatever I didn’t need – I now have lots of little bags of shallot, pepper, and fresh herbs in my freezer for future use. If you have a voucher code and only intend to trial one box, I highly recommend you log into your account straight away and push back the next set of deliveries, until you know whether you want to continue. The subscription payment is automated and taken promptly – in short, if you don’t want to pay for it, its down to you to make sure you don’t! The ingredients are fresh, and meant to be used while they are fresh. Don’t order a box if you’re not going to use it over the few days that follow, or it just wont be as nice! Their customer service team are actually really helpful (hallelujah, a company that gets it). I had an issue with my box where it was delayed over Christmas but they took the next payment before I’d even received that box. I got through on the phone super quick and it was all resolved. They’re also pretty good at replying to people on twitter. Keep your recipe cards! OK so you wont have the luxury of pre-packaged and pre-measured ingredients all the time, but I have already successfully re-made one of the dishes and it was just as good. Overall, I really cant speak highly enough about the quality of the food, the deliveries (they even use DPD – kings of delivery) and how easy the recipe cards are to follow. But that said, the cost is still an issue for me. I would definitely consider having deliveries once a month, or “every now and then” but the cost is too much to make this a regular staple. This post isn’t in any way affiliated with Hello Fresh – buy they do offer codes to existing account holders to refer new people. So, you can claim £25 off your first box, with this Hello Fresh voucher – just sign up here. 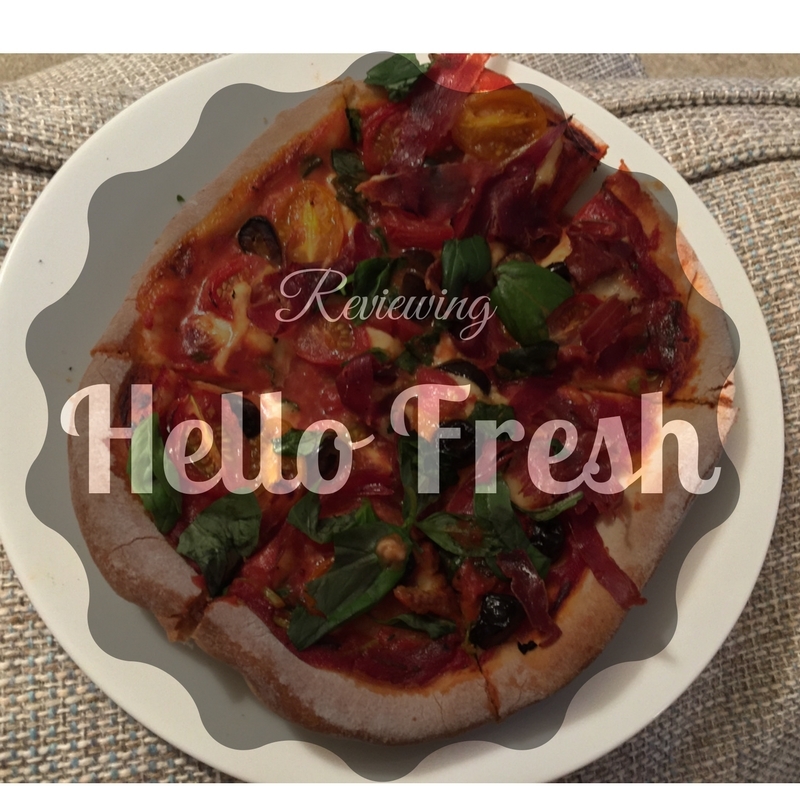 Has anyone else trialled Hello Fresh? What did you think?